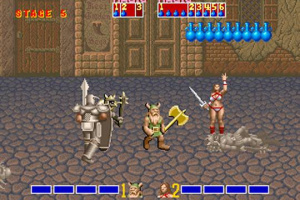 Sega's classic fantasy side-scroller hits the Virtual Console in its original arcade form - but is it any good? 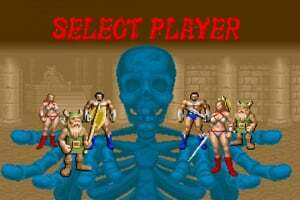 It would be fair to say that the expansion of the Wii Virtual Console to incorporate arcade releases has been extremely welcome, but it has resulted in one rather unusual side-effect: we’re seeing rampant duplication of titles already available. 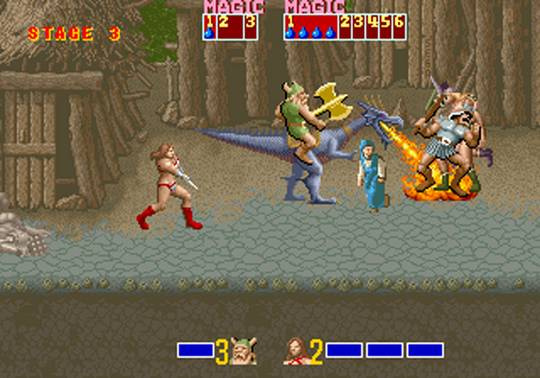 We’ve already had the likes of..
Sega's classic arcade beat-'em-up game, Golden Axe puts in the shoes of one of three heroes, each with his own reason for trying to overthrow the evil rule of Death Adder, who - along with his forces of darkness - kidnapped and imprisoned the King and his daughter and stole the legendary Golden Axe. 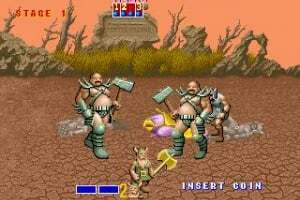 This is a horizontal fighting game, where you basically take one of the three characters (a warrior, a dwarf or an amazon) and bash everything which stands between you and Death Adder himself. 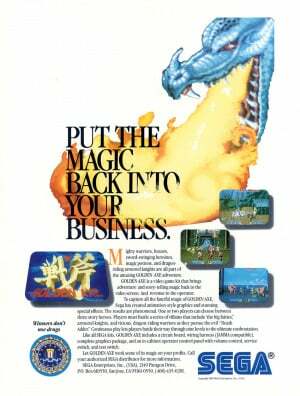 Any differences between this and the genesis versions? 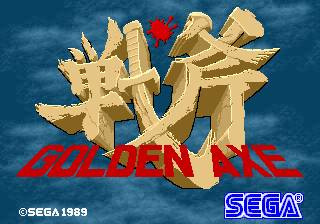 So Golden Axe is getting released on VCA too. Just like I predicted. 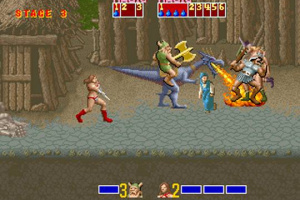 The Genesis version has an extra level that the arcade did not include. 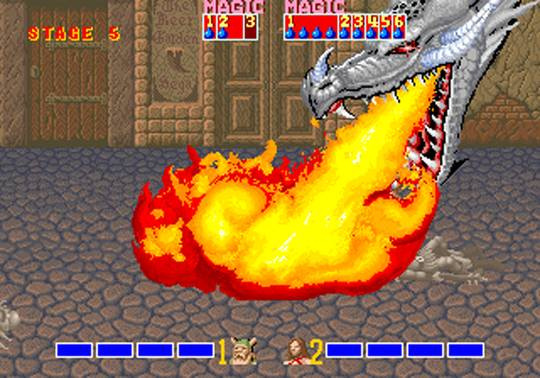 It also had a extra hard final boss. The advantage of getting the arcade version is a upgrade the visuals and some extra sound effects thrown in. 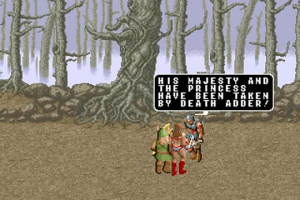 The arcade version also has a pretty funny ending. If you like Golden Axe you can't go wrong with either version as the Genesis version was a well done port of the arcade game. Just bring a friend along for the journey. Instant buy for me, unless they screw it up for some odd reason (50hz, bad sound emulation, etc). The other SEGA arcades have been 60hz and well emulated for info. They may not be great games but nostalgia wins for me! Sadly no Outrun on VC yet, but I've got the Saturn version which is pretty darn good! This would be an instant buy for me. This is much better than the Genesis version. 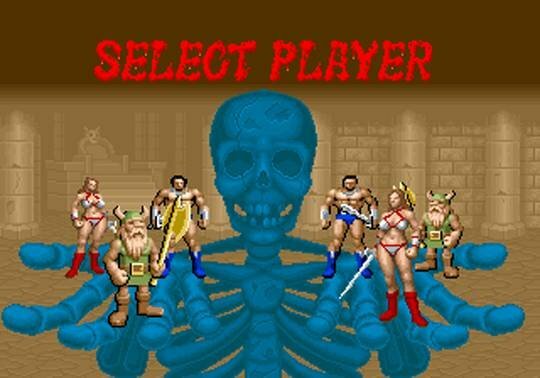 The very first arcade game I ever completed with one credit. I have so much love for this game - the home versions never did it for me however. I am 100% getting this if it comes out in the EU. Wow from that video the graphics, sound, and animations look better! ...but I buy VC games mainly for nostalgic reasons, and seeing how I never played this version I'll stick with the genesis version. 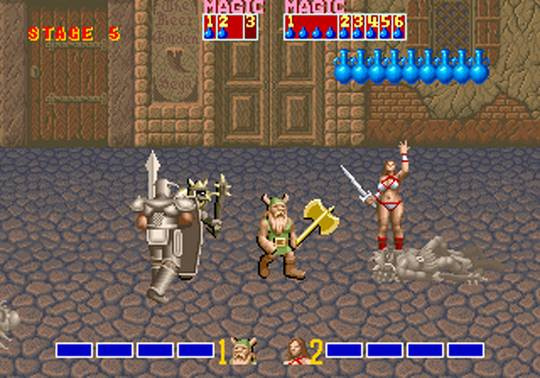 I wonder how long until we see the Master System version too. great game,no money....Thanks VCA! I feel tortured. 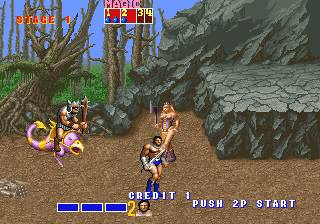 I can't believe that SEGA charged 1000 points for Altered Beast in NA, but we only have to pay 900 points for this one. Wierd. 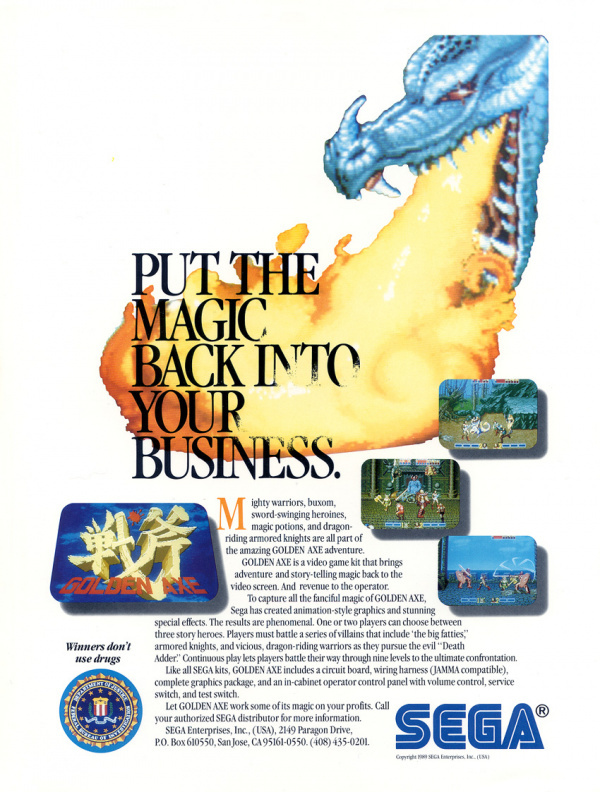 It's not really that much better than the Genesis version. I've beaten both, and can't find more than a few superficial differences. 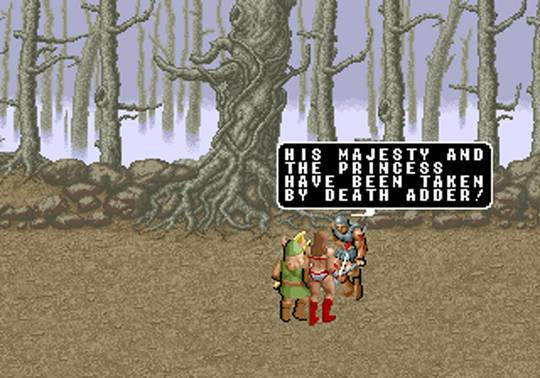 I just wish they'd let you switch between characters after you've lost a continue. ACA HAMSTER Switch Arcade release PLS! That up to SEGA or...?